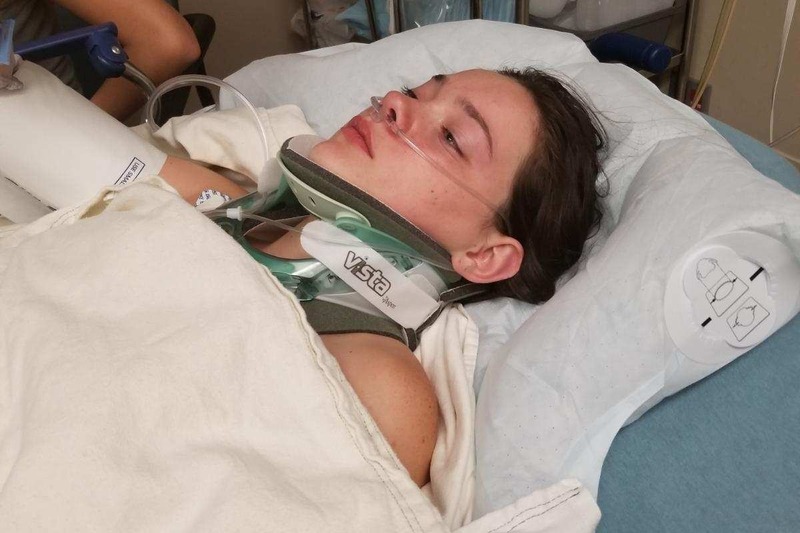 Hi I am starting this Go Fund Me for my Niece Jordan Holgerson who was Violently pushed off a 60ft bridge over Moulton Falls on the Lewis River in Washington State. She is very lucky to be alive after this terrible incident but still suffers great injuries from the impact of hitting the water on her side at that distance. She suffers from 5 broken ribs, 2 punctured lungs, air bubbles in her lungs, the lining in her uterus is damaged, she has a lump in her throat, and is covered in unsightly bruises. She can hardly move or breath and is in pain constantly. 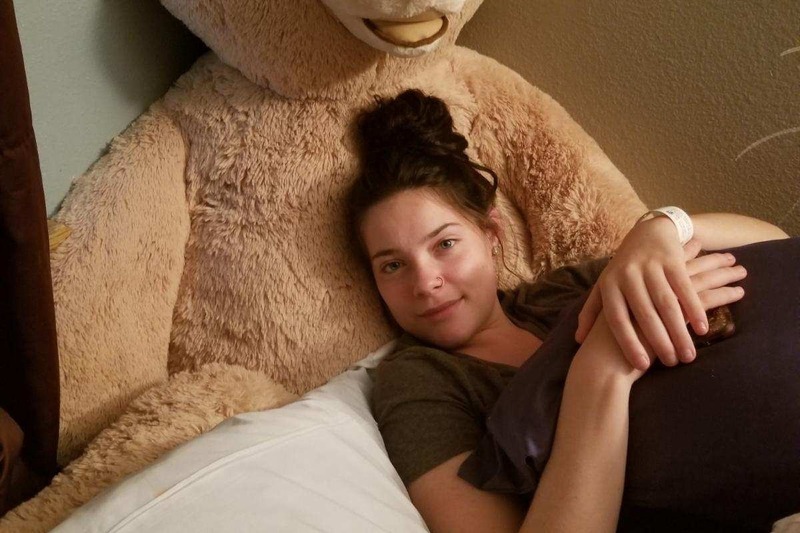 Her mother has been by her side since the accident and has to take time from work to care for her as Jordan can not be left alone due to her injuries. Her medical bill's are outstanding and my sister is a single mother of four kids. They could use all the help they can get at this time. Whether it's a dollar, a prayer, or keeping our family in your thoughts. It is all appreciated at this time. Please share and help at this time of need. I will post more updates on her health and this story as it progresses, thanks for all the support from the community across the globe, it has been overwhelmingly appreciated. Jordan's MRI showed a small tear in her shoulder so she is getting a referral to rebound. We are getting an xray on the lungs today and will have results soon. The hematoma that was behind her windpipe has resolved. Jordan is to continue to use her insensitive speromater to strengthen her lungs. We appreciate all of the donations and continued prayers. Thank you all so much! We are truly blessed to have everyone come together in a time when we need all the help we can get. God Bless! Jordan is getting her MRI today, hopefully they will find some answers for what is going on internally. Thank you everyone for your prayers, kind words and keeping her in your thoughts. We appreciate you all so much. My sister is overwhelmed with how caring and giving you all are. She is very thankful for all the help! As for Jordan, she will be going in for an MRI. They looked over her CT and found that she has 6 broken ribs and that is why her shoulder has dropped on the right side. She also has some unknown internal issues. Her feet have been swelling and turning bright red. Her pain is at an all time high and she has a very hard time getting comfortable. Please keep her in your thoughts and prayers. She needs all the strength she can get. It's hard for her to stay positive at a time like this. Thank you all for the continued support. I can not tell you how grateful we are! I just want to make an update to thank all who has shared this GoFundMe, the words of encouragement, and or contributed to this cause. This fund wasn't set up for the intentions of using a terrible incident as an excuse to collect funds. There are some comments that I had removed that mention the pusher should be held accountable for expenses and I couldn't agree more. I hope the medical expenses and stay at home care will be covered eventually but it is hard to say when due process will take place and how long that will be if ever. At the moment though that won't cover my struggling sister from making ends meet while she cares for her Daughter. These were terrible choices made by children but at the end of the day it happened and my sister is a single mother missing work without paid leave doing what any other parent would do for their own children. She also never asked for this help and I took it upon myself to do so. It is unfortunate she was put in this situation but she truly does need all the help she can get at this moment as we all know bill's don't stop stacking up regardless of life circumstances. We are so thankful for the support so far and I hope this helps people understand what this fund is setup for. It is not always the person that makes the wrong choices that ends up having to pay for it and this is one of those circumstances. Thanks again to all who understands, we truly do appreciate it.